A new Canadian study shows no relationship of cognitive deficits or diagnosis of hypothyroidism with fluoride in drinking water. This work is important because it counters the claims made by anti-fluoride campaigners. While the campaigners cite scientific studies to support their claims, those studies are usually very weak, or irrelevant because they involve areas of endemic fluorosis where drinking water fluoride concentrations are much higher than in situations where community water fluoridation (CWF) is used. 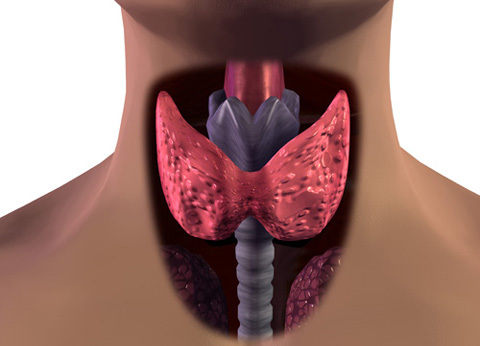 The thyroid gland release hormones related to growth and metabolism. Credit: Flickr / Jinho Jung.